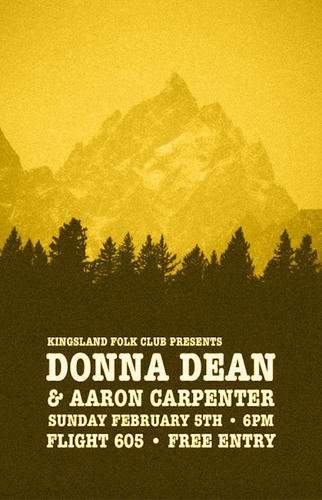 This Sunday we bring you an incredible lineup heavy with the gritty and warm sounds of Americana, country and blues, with the wonderful Donna Dean & Aaron Carpenter. A Tui award winner on multiple occasions, Donna Dean is very much a pioneer and champion of Americana music in New Zealand, paving the way for a new generation of local musicians, and we are so excited to finally have her join us for a KFC show. She'll be joined by legendary country/blues songwriter, Aaron Carpenter, who has a gift for articulating the plight of the downtrodden and misunderstood in his well-crafted songs, and is currently working with producer Nick Abbott. If you're a fan of all things country/Americana, you won't want to miss these guys.